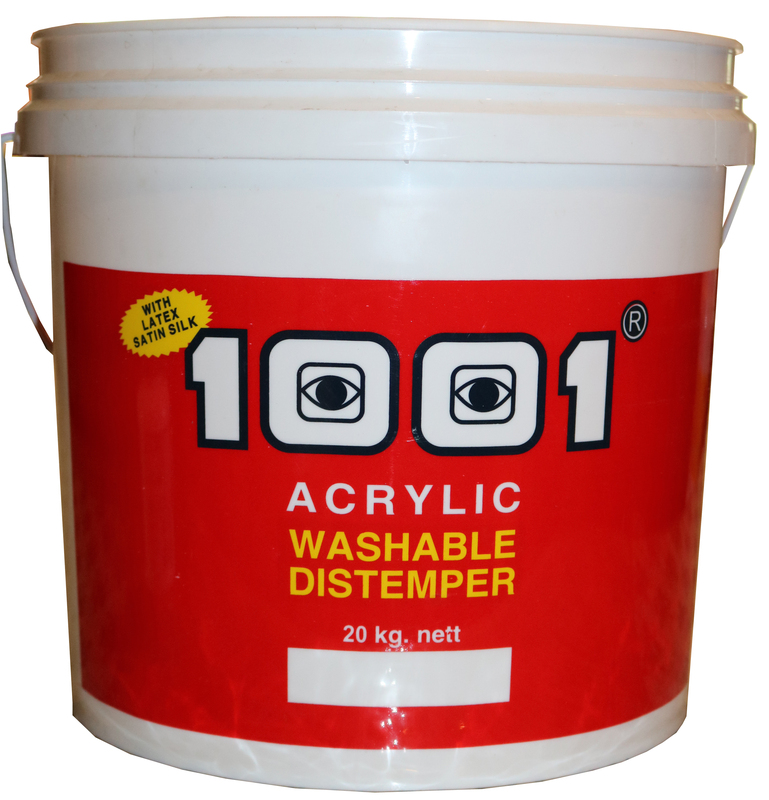 1001 Acrylic Washable Distemper is a WASHABLE water based paint of soft butter like consistency made from excellent quality emulsions and light fast pigments. Add a little water to the material, stir thoroughly till a smooth creamy consistency results. Add some more water. Total water added should not be more than half the weight of the Acrylic Washable Distemper. Ideal coating for interior decoration of houses, plastered walls, brick work, concrete and asbestos surfaces etc. By brush/Roller/Spray. Surfaces should be free from efflorescence. Old distemper/Lime should be removed by scraping or rubbing down and the surface should be free from loose and flaking materials. Surface dry 1 hour. Recoatable after 8-12 hours. Normally two coats are enough. As per 1001 Acrylic Washable Distemper shade card. 20 Kg, 10kg, 5Kg, 2kg, 1kg. Eco-Friendly paint with very good finish at economical prices. Odour free. Non-inflammable. On brickworks, asbestos sheets etc.